The big question in Donald Trump’s Russia scandal may not be who’s getting arrested next, but how many people are getting arrested next. 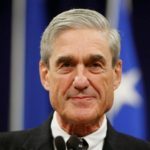 We know that Special Counsel Robert Mueller has been relying heavily on the U.S. District Court in Washington DC for his grand juries and indictments. In the eight days since Paul Manafort and Rick Gates were arrested, several new indictments have emerged from that court’s docket. Seventeen “sealed” items were added this past week to the DC court’s schedule, which is publicly available. Based on the manner in which the case numbers are bunched together, this appears to represent a total of seventeen criminal charges filed, based on five sealed indictments against five individuals. Due to the sealed nature, there is no way to confirm that these charges are related to the Trump-Russia scandal. However, cases are only sealed for good reason, which means that most or all of these charges are indeed against Trump-Russia players. So what now? These cases have been added to the court’s schedule because they’re all set and ready to go. Robert Mueller can carry out the related arrests any time he wants. He may be making one last ditch effort to convince those individuals to cut a deal before he arrests them, or there could be another explanation. Now comes the matter of who’s named in these indictments. Based on clues, we can narrow it down some. These indictments are not against Paul Manafort, Rick Gates, or George Papadopoulos, who already have unsealed cases. Robert Mueller already has a grand jury against Michael Flynn in Virginia, so these indictments in Washington DC aren’t against Flynn, unless Mueller is pursuing Flynn’s various alleged crimes across two different federal court districts. Beyond that, the identities of the five new indictments are anyone’s guess – and for the moment, that’s how Mueller wants it.